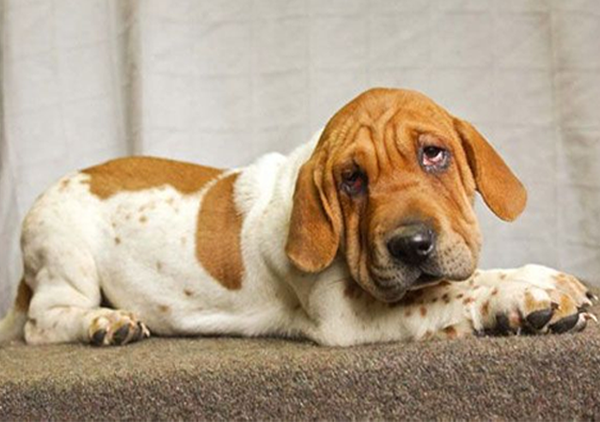 The Sharp Asset is a combination of a Basset Hound and a Shar-Pei and was first bred in the United States. They are affectionate and intelligent dogs and are very loyal to their owners. They are fairly easy to maintain with their shortish fur but should be brushed at least once a week. They make quite good watchdogs and can be a little stubborn at times. They are great family pets and even though they are large dogs, they could live in an apartment as long as they had regular daily exercise routines. The Sharp Asset is a very loyal and intelligent dog that make excellent family pets. They love to be around their owners and will be very protective of them and prefer not being left alone for any length of time. They can be a bit lazy! Sharp Assets don’t bark a lot, but some have been known to howl when they are unhappy and they can become destructive if left to their own devices. They are playful, affectionate and energetic dogs but can be quite stubborn if left untrained. Training will also help with socialization skills to get them accustomed to other animals. They are good with children but can be a little stand-offish with strangers and new things. They also love chasing small wild animals like squirrels and rabbits, so make sure they are leashed or enclosed in your backyard.